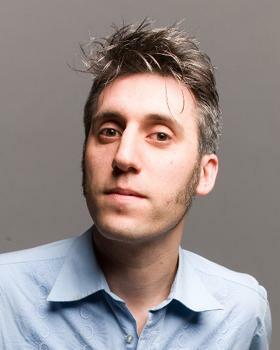 Dave Bloustien is part of the award-winning joke writing team on Good News Week (Network Ten), as well as ABC TV's The Glass House, The Side Show and more. He's also a former circus performer, a reigning NSW Theatresports champion and received a Moosehead Award for his 2009 stand-up show The Social Contract, about the time he got sued for not being funny. As a stand-up comedian and improvisor, he's peddled his cheerful, middle-class rage at festivals in five out of six states, as well as in London, San Francisco, Zambia and beyond. Dave has performed at Sydney's Enmore Theatre for the Theatresports National Competition, at the Melbourne Town Hall for the Moosehead Benefit Gala and at Hobart's Theatre Royal. And last year he made his Edinburgh Fringe debut to critical acclaim, if not much cash.